Feeling powerless and discouraged? 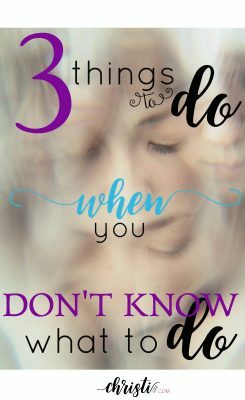 Here are 3 things to do when you don’t know what to do and the odds are NOT in your favor. From a POWERFUL Bible story. Have you ever felt outnumbered? Maybe it’s failing relationships, mounting finances, or closing doors of opportunity that make you feel like the odds are definitely NOT in your favor. Maybe it’s sin you can’t overcome, anxiety overtaking your heart, or dreams and hopes that continue to go unfulfilled day after day. Well, we can just stop there before we both end up in a hole in the middle of the sea. Whatever the cause, the effect leaves you feeling small. that is coming against us. The sheer desperation in that prayer floods my own eyes. I can relate more deeply than I’d like to admit. 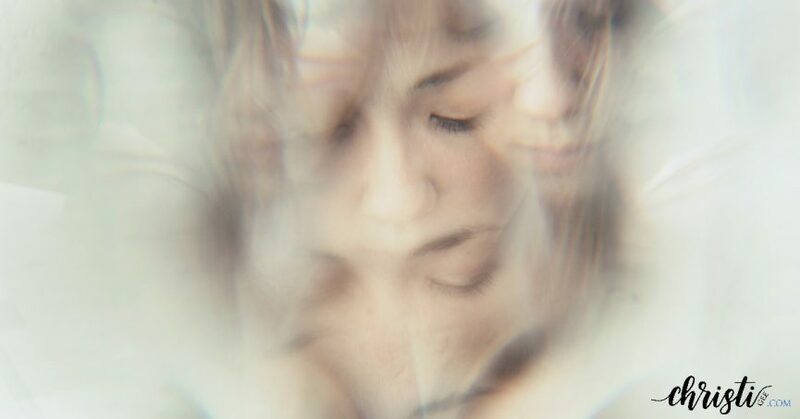 Now, we aren’t facing a multitude of enemy combatants approaching our gates; nevertheless, there is a real combat and an enemy who is often behind our feelings of hopelessness and helplessness. Turning to God in prayer is the first strategy, but there’s even more we can learn from this account. God’s instructions and the resulting response from this predicament 3000 years ago hold a few important lessons for us today. I love alliteration, and this trio is profound. We have to first take our stand before we can withstand. The only foundation worth standing on is the Word of God. In times of overwhelming darkness and despair, we must go a step further, intentionally abiding behind God’s Word and His promises. Claim them and proclaim them. Write them down and shut out anything else that distracts us from the work of withstanding and the act of abiding. Finally, we have to see. Seeing the salvation of the Lord is the result of stationing and standing, but it’s also a deliberate action. We have to choose what we fix our eyes on. Sometimes that may require derby blinders or deleted apps or disconnected TVs. Our eyes are the windows to our soul. If the eyes need Windex, the soul likely needs Clorox. In other words, if you can’t shake the darkness, it might be because there’s not enough light getting in. Above all, dear comrade, always remember who is really at war. Because this is the Lord’s battle, we can trust that doing our part to station, stand, and see is enough. If He wants a multitude of 5000 fed, He can do it with a few fish and bites of bread. If He wants to proclaim His message and see 3000 repent, He can do it through an ordinary fisherman who just denied him 50 days earlier. Yes, you’re enlisted in the army — with battles to fight on the Lord’s behalf —but it’s not your war. After receiving these words from the Lord, the people rose early the next morning to meet the enemy in the wilderness. Oh, did I forget to mention that little part? ~ smile. Yes, verse 16 tells us God told the people to actually go down against the overwhelming, outnumbering enemy, not hide inside their gates. God had this next detail recorded for us and I almost missed it. Now, there are many songs of praise proclaiming God’s deliverance in the Bible, but this one is different. Here, He delivered them AFTER they began praising Him. Does that give you chills like me? This is trust personified — or rather — songified. even before anything you can see changes. But we also know that praise is a powerful weapon, establishing a stronghold against the enemy and silencing the foe and avenger. That’s reason enough to go find your voice if you’ve lost it and turn up worship music in the background. Friend, whatever your enemy looks like, however big and insurmountable it seems, victory will come. It may not be soon; it may not be in the form you’d wish, but your God is able to deliver. More than able. When He does, your testimony of how He held you in the darkness will lead others to the light. 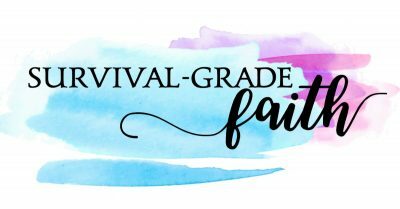 And even if — here on this earth — the odds are never (ever) in your favor again, if you know Jesus as Savior, you are favored by the Most High. And that changes the game for all eternity. I found a book that you might be interested in reading. it is called “A Valley of Visions.”. Maybe you’ve read it but anyway I recommend it. i like the topics covered in the prayers. Hope this will inspire you to post on these topics. If I were to write on this I would call it “Can Opener Prayers’. “Christian, Your calling is to obey, not orchestrate the outcome” I need to tweet this like 50 bajillion times so I see it all day long! :-) I have to remember it myself. Thanks for the smile! Chills!!! Extremely timely for me! Thank you so much for writing this! This right here: “Established trust looks like worship and thanksgiving — even before anything you can see changes”. I’ve been trying to get this point across to my MTO mamas, who are oftentimes down for the count. Praise is where God abides! I love this story, read it recently myself, and was encouraged again as I read it with the “Christi-spin”. As always, refreshing, challenging, and most importantly, TRUTH upholding. Pom poms. Love you, friend. This is sooo good, Christi! And rich with truth. Praising and worshiping BEFORE they saw God act. Remembering it’s not our war! Love it! Thank you, Dianne. Praise is a weapon in itself, isn’t it? As always, I love the way you blend schemes and tropes to share your heart and lead us through His Word in encouraging ways. I kept coming back to the definition for stand… abiding behind…. that is going to sit with me a while today. As I think about all the verses that tell us to stand.. and to withstand, I will now be envisioning the abiding behind the One who is always on the offensive for me and who has always gone before me, even when my faithless heart has tried to flee rather than to stand. Loved this update about your daughter. I’ve been thinking about it for weeks and just realized I didn’t reply. And you are one who exudes abiding, friend! ‘Morning, Neighbor … thanks for making this Old Testament story come alive with plenty of lessons for where we are right here, right now! There’s nothing new under the sun, right? :-) Thanks for being a great neighbor! 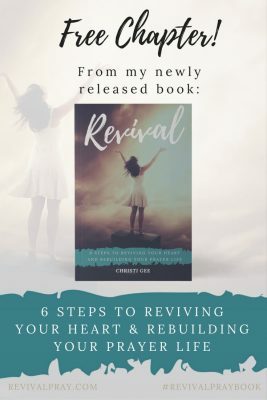 What a fantastic follow up post Christi! I believe the Windex and Clorox should be kept close by. God instructs to always be on the alert! It is empowering to check our light to dark ratio in our lives. There are TV programs that I have removed from my DVR that at the time felt difficult but I have not even given them a second thought. As you indicated in your last post, Satan has a specific plan of attack for each of us. We must be purposeful and live our Christian life with intent to live for and please Jesus in everything we do. Thank you for sharing such honest and thought provoking posts. You challenge and inspire me to be a faithful soldier for Christ. Have a wonderful week and may God bless you and yours in all your endeavors! 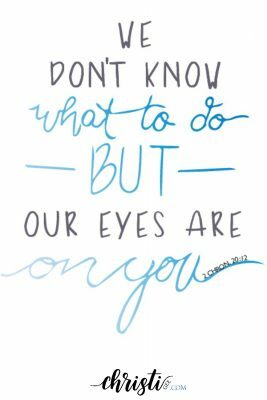 Even when I know the battle is waging and know all I must guard against, I can still lose sight of the bigger picture and my call to obedience. You always make me think. Love that! Another great post to follow on from your previous one. Love how you have expounded on this passage from 2Chron 20. Thank you for always being full of life-giving words. I was so thankful to have “happened on” this passage this week. God is so good and beyond faithful and He never fails to meet me in the middle of His Word. 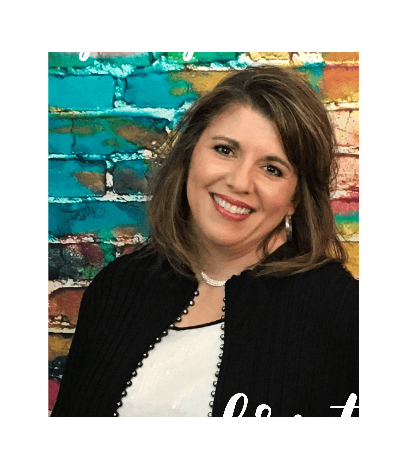 Another powerful and incredibly encouraging post, Christi! You inspire me to sing today!